There is no denying that the event happened. The towers and the whole building complex are gone. The question is only how it was done. Simon's conclusion is pretty much the same as the one you get when analyzing the Apollo missions. You have a prefabricated film airing on TV as alleged reality. This prevented any possible mishaps that could have occurred when airing actual live footage. Here are a few very good examples of the blatant video fakery ,  Why go to all this trouble of fabricating entire sceneries if you are going to show real images anyway? The contradictions between those two would be tremendous because even with DEW nobody could have foreseen how the towers would go down. With faking all tower footage you can at least match the collapses and make the contradictions far more subtle. Of course, with Simon's conclusion that no footage is real, there is no knowing whether it was a simple detonation, DEW or whatever. But I am siding with the easiest solution until I find credible evidence for a different one that logically surpasses the first one. And CGI is an easier solution than directed energy weapons and holographic projections from planes! The media is completely owned anyway, and has been so since decades, so naturally they would go along with it. They already have gone along with it with the Apollo missions. The first two minutes perfectly assist my point. How can so much footage of the same day at the same time give you so many different skies (darkblue, lightblue white, gray, bluegray, greenishgray)? Is it not more likely to assume that they do not depict the actual sky of that day? You have experience with filming the sky. If you took 10 different cameras (from 2001), do you think you would have that big of a discrepancy in the color of the sky? Also the sheer amount of videos that managed to show the plane crashing into the buildings (53 videos) is ridiculous. How can so many people manage to film an unexpected plane? (Why were they filming anyway, were they expecting something to happen besides smoke coming out of tower one? Nobody knew that there was another plane coming or that the towers would collapse. And this was before cell phones had a camera!) Also, did you ever saw the full videos. They don't show you a plane far away where the cameraman says "what's that, another plane coming?" It is always a segment of a clip showing the plane in its last seconds. If I were a bystander who just happened to film this most crucial moment, I would upload the full video. Why are most of these clips so short? They started filming and just happened to catch the crash? That would be some next level intuition. I'm going to stick with Occam's razor. Djchrismac wrote: , crisis actors were used but in no way was every single video faked, nor was every single person an actor and some real life fire fighters did actually die when the towers collapsed, because they were there trying to save some of the few people in the towers and on the ground. That's their job and I doubt the globalists would have let every single emergency service in on the big secret of what was really happening, better to have a few real people die and then pad it out to appear worse with the crisis actors. Just for a comparison: I have studied last year's truck attack on the Berlin Christmas Market. I have seen a lot of footage and counted easily over 100 firefighters and medics. Officially they spoke of 150 but by the count of the head of the fire department they were almost 400, police not included. I don't know if they were all real firefighters or partly just actors given the outfit. Since they didn't really need to do any real first aid, the latter is a good possibility. But the key figures, which are usually the heads of departments, were all in on this. What we have to realize is that "they" don't only own the media, they have taken A LOT of the key positions in power (political leaders, judges, heads of police, heads of fire departments, Chief medical staff, directors of hospitals, highest ranking people in corporations and whatnot. And if this is the case in Germany, you can bet it is the case in America.) Most people who were present there had to be acting, since the truck never drove through the Market. Nobody died or lost a leg or whatever. It would be pretty difficult not to see the simulation if you were a legit medic on site/set. It was a complete simulation from begin to end, even CGI was involved. And this was only a lousy executed B-class PsyOp. With something like 9/11, which probably has been planned for years if not decades, I am sure many more precautions were taken (like electing certain people into certain positions to make various things happen in pursuit of the PsyOp). And I have to disagree with you, it is not better to let a few real people die. This would result in real lawsuits because any affected family member would want to seek retribution. And family members of killed white collard people who were working in the Twin Towers would probably have the money for some good lawyers to cause a real stir in courts. This very unpleasant outcome could very well be avoided if murder was not an option. And analyses of subsequent PsyOps also confirm that murder is never being committed. It is all simulation. Whether you destroy a truck or several buildings, it is still the same concept, just on a different scale. Afterwards you can cash in on insurance money, donations (or you can launder money), frighten the public, make new laws, and in the case of 9/11 even justify wars of aggression. I agree, it is the evidence that counts, not the messenger (though it does help sometimes to know the messenger's background). Simon and the whole CF are selective in their evidence, which most of the times are images, video footage and people's backgrounds, because they mostly concentrate on things that a layman can follow and check for himself without the need to rely on experts with PhDs. Djchrismac wrote: I've noticed a trend of people stating that absolutely everything is fake and I think it distracts from the facts and diverts people away from the topic at hand. If they faked two skyscrapers being pulverised to dust then I am seriously impressed but the logical answer is that the collapse did happen and then the supporting fakery, diversion and cover up went into full swing. The initial plane strikes were easier to fake, but the collapsing towers had almost every camera in Manhatten recording it and countless witnesses around observing it happen in real time. A lot of daniel's posts lack sources to back his statements up. It would definitely not hurt to throw in the origin of source when making some bold claims. The problem with some of daniel's sources is that we can't verify them because we are/were not privy to certain information. Personally, I don't have too much of a problem with it, as I learn a lot on my way when I look for clues myself. That is, when I bother to try. I take what I get. Also, most of his statements stem from research done over decades, so he has established an own opinion on a lot of topics because he has seen the material behind them. As a comparison, I am still on the "quoting level" because I have not yet fully developed an own strong opinion on various matters. I am still assessing new stuff and it takes time to do so. Everybody has his own pace. Not sure where I was going with all this. I guess I just wanted to say that I appreciate the collaboration here and would very much like to see it grow, not recede. I am still sad that infinity and deepfsh don't visit these fora anymore. Both had a lot of valuable information to offer. Definitely true. I know they try to keep it a clean forum but there is a lot of hate in there. On the other hand, there are a lot of detestable people in the world acting out their power... I am not really active in CF and only looked into a few threads. I am thankful that there are people who document the PsyOps. But after you have seen a handful, it is usually enough to know what is going on and then you can move on. That's why I prefer these fora as well. They offer something new. hoi.polloi gave DSKlausler the reasons why the CF doesn't discuss UFO topics. And his explanation is very reasonable. I am even glad that they refrain from those topics because it gives newcomers, who have never been into conspiracy theories, a first platform where they can learn about media's lies without being scared off by topics that are too far out of their comfort zone. And I know from experience that you scare most people off, immediately, as soon as you say the a-word (alien). Unless it is said in jest. I hit the space-bar when there is text. Not everybody is ready for a new concept which is putting their whole world view upside down. There are a lot of barriers to work through before you can open up yourself to a complete new line of thought. I have devoured alternative media for years, good and bad, so I my threshold for accepting something new and extraordinary has been lowered a good amount. But I know what it felt like being in my old paradigm. I was always open to UFOs and aliens but never to the spiritual stuff. I can't speak for the CF members, but since most of them show a strong rejection to the UFO topics my guess is that they want to keep the forum clean and/or they are simply not open to the topics (yet). Before I make up my mind on what Simon's perspective on our solar system is, I need to see his research first, otherwise I don't know how he has arrived at such conclusion. Don't judge by the conclusion alone. RS and RS2 have plenty of seemingly absurd conclusions that would scare anybody off, yet here we are trying to understand it. Both Simon and hoi.polloi know about my translation work for the RS but I don't talk to them about the RS because, unless they show an interest, I don't see any point in it. People who frequent this forum, usually arrive here out of their own curiosity. As did I. (Btw I am probably one of the few who hasn't heard of David Wilcock before coming here or reading daniel's papers) Luckily this forum is very quiet, meaning there are no attacks here and no ones tries to spread bad information, intentionally. I really enjoy the harmony here and it is a stark contrast to the CF. (But they do get attacked!) Also, most active members are near the Tier 2 border, some even above it, so naturally we try to approach things more holisticly and with a lot more harmony. Lastly, I want to say that I don't really care that much if the towers were destroyed by explosives or DEW. It is not that important in the greater picture and we definitely shouldn't concentrate on secondary issues too much. And I think you will agree that both you and I have more important stuff to do than discussing 9/11 details. After all, disputes on this topic have already kept too many good researchers from doing more good research. Everybody has his own favorite platforms and researchers--which should be seen as a good thing because the more diverse our backgrounds are the more ideas we can bring to the table. I have ignored other posts about Judy Wood in the past because I knew it would lead to long posts like this one. Not sure, why yesterday I thought it to be a good idea to start beefing about something that is not even on-topic. I am certainly not going to write another long post on this topic, takes too much time. Everybody can make up his own mind after comparing Judy Woods evidence with the one from Simon Shack. Hmmmm, I somehow feel the need to make a statement. Is it important to know how the [clearly fabricated] events were constructed and executed? I don’t think so; a curiosity maybe. What may be important, is more so the who or what, did these things; can it actually be identified; can it be held accountable; can such [future] events be prevented? IF you could bring to light these entities, no one, or very few, would believe you – no matter how simplified, or thorough. Once again, I live here in the U.S., in a large metro area, and tour many of the states via my automobile, frequently, preferably, on the two-laners. “Can it actually be identified?” Unlikely. “Can it be held accountable?” Not a chance. “Can such [future] events be prevented?” Perhaps. I say “perhaps,” because an honest media would make such things as silly looking to ALL as they are to us – thus the effect would be laughed off, rather than psychologically penetrating. However, even an honest media would be a massive endeavor. The tasks to resolving the big, big government/overlord situation are so monumental that I believe they are well beyond humanity’s ability to undertake. Actually, I have given up on humanity; wipe us out – including the overlords – and start again. Actually, I have given up on humanity; wipe us out – including the overlords – and start again. Who would wipe us out? LMs or some alien race from outer space? The problem I find with Simon Shack and Cluesforum/Sept Clues is that there is plenty of his work that has been 'debunked'. Please see below. animus wrote: And CGI is an easier solution than directed energy weapons and holographic projections from planes! Yes it is but the evidence doesn't point to a complete fabrication from what I can see. I think there would be too many people to be on board for the whole thing to be faked, there would be numerous weak links in the chain. The DEW is far fetched based on standard perceptions, if the real world, not our matrix world is actually so far advanced and you can shift that perception then it is not that crazy. However this again is not without its questions. Where exactly have they tested this weapon before on large scale? It's monumentally ambitious to use such a weapon with the eyes of world watching with 100% knowledge it is going to work. Judy wood does refer to John Hutchinson however that is very small scale in comparison. The hurricane is something to do with it all, I know Chris thinks it was supposed to hit after 911 but I think they needed a clear day for the event, either that was part of creating the clear weather or for the energy creation for whatever they used. What about the seismic data recorded, doesn't that negate any demolition theory? I personally need to read a bit more and watch more of John Hutchinson. OK let's have a look, here is some debunking evidence I have found. 1. The claim that an EMP was used i find hard to believe as wouldn't this affect ALL electronics? I admit i don't know how they work but I would suspect it difficult to just affect video filming devices. Wouldn't vehicles, lighting, computers, traffic lights etc all stop working? It is without question smoke that dissipates. 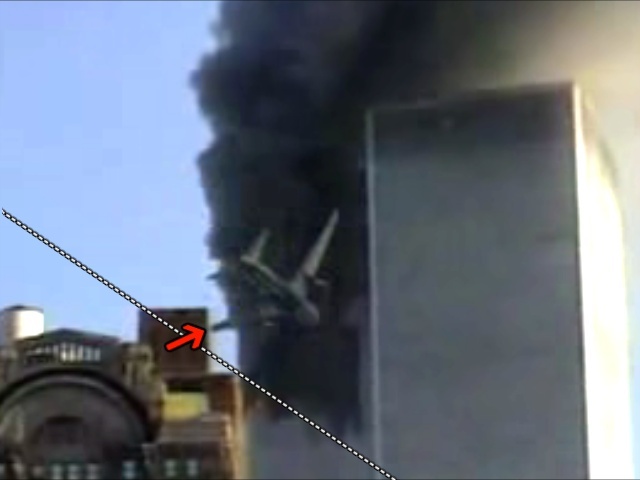 Again watch the Richplanet video and this is debunked, the building that the wing disappears behind is actually in front of the WTC so the wing disappearing is quite logical and plausible once the perspective and positions of buildings has been understood. Again he seemingly uses his NLP skills and the power of suggestion to mislead. 4. Nose out, one that got me hooked, it looks damning on September Clues, however, debunked again by these short videos below. It is quite clear that the explosion out the opposite side was an explosion of some sort as is evidenced in many video angles below. There are anomalies I admit, like you say animus it is odd that so many people have short clips of just the plane hitting as though 'by chance'. Some photos also do appears to have 'bits missing' but 911 was a product that people needed to buy and it there's a lamp-post in the way of a great shot why not remove it? I do it on photos of scenery just for own satisfaction, if the world needed to be satisfied about 911 then a lamp-post here and there being removed is it a big deal? Yes its a doctored image but doctored for the purpose of eye candy. It could also be true that a few people were planted to take the videos to ensure that the majority of the video evidence provided by amateurs was of the right content. I find it odd that the these people were more concerned about getting the shot rather than the fact that a 'plane' had just smashed into a building. I mean surely it would be jaw dropping shock and focus would be lost on filming? So very possible these people knew, waited and made sure it was filmed. I find the empty towers fascinating and looking on the cluesforum at the amount of leases that were offered out 1996-99 possibly to false companies, it could be plausible that after the 1993 bomb, a lot of businesses moved out and were never physically replaced only replaced on paper, leaving mostly empty towers, this would negate the death factor, however i would find it impossible that no-one died on that day. I not sure if the proliferation of the outings of all these 'hoaxes' at some point may be used against us in a 'boy who cried wolf' scenario with one massive scale, maybe multiple country attack that will be greeted with 'HOAX' is in fact not. Just a thought. Secondly, How can there be smoke at the very right end of the building when the plane didn't crash there? And how come the fire burned out (or was extinguished) so quickly? The smoke went from pitch black to gray to white to gone all within 40 seconds! Don't get fooled by the high-res imagery, it still needs to be logical. Today, they could fabricate a 4k video but it still wouldn't change the fact that the very first footage of the 1st plane crash showed a peculiarity that was clearly not black smoke coming from the far right end! Simon says: You just can't have it both ways. Not in the real world. By the way, when you give a link to a video, please make sure to provide the original video or if not possible then at least the best video available, meaning the longest video in best quality (which usually is found on Youtube), and then add the crucial time at the end of a given yt-link (ex: &t=10m10s). I am just saying this because the full video from Jim Huibregtse has numerous "peculiarities". And any peculiarity found later in the video could have also served to debunk this "debunking video". Luckily, the above example was within the time frame of the short video clip you provided so there is no need to go further into the video. What about the seismic data recorded, doesn't that negate any demolition theory? Based on this report they support it. I can't answer that. Not my field. But seriously, who cares? If every publicly known video footage is proven to be a digital forgery, then the case is pretty much closed already, isn't it? And as far as I know Simon has not found any legit footage of 9/11 yet. And I am pretty sure he has seen them all. Don't concentrate on the temporarily unseen wing. The main argument here is the obviously not physical plane that goes through the building like a "butter plane", as they say in your video. Your first link doesn't debunk anything and was a complete waste of time. As for your second link, just look at the first 15 seconds (that's the video where the Nose-In Nose-Out comparison stems from). Look at the whole scenery. What crappy camera did they put into the chopper? All of Manhattan is but a gray silhouette. There is no detail AT ALL. And look at the sky! Are you seriously suggesting that this video is not fabricated? Also, the camera man (with his ultra high level of intuition) performs a miracle zoom right before the plane crashes into the tower. Do you find this to be a likely scenario? Some photos also do appears to have 'bits missing' but 911 was a product that people needed to buy and it there's a lamp-post in the way of a great shot why not remove it? I do it on photos of scenery just for own satisfaction, if the world needed to be satisfied about 911 then a lamp-post here and there being removed is it a big deal? Yes its a doctored image but doctored for the purpose of eye candy. That must be the reason why people were so fixated on their TVs when 9/11 was announced. They were all seeing rainbows. If all videos of plane crashs and collapses are proven to be a forgery, then the only reasonable conclusion is that nobody filmed these events (or at least didn't make any such video public). "i would find it impossible" will only get you so far in making your case. Find evidence of somebody who did die and present it to the CF members. Make sure to also provide evidence which shows that the person was real and not simulated. A death certificate and a bunch of authentic photos of that person would do. If you have any further 9/11 questions you should ask them in cluesforum.info. The old members know 9/11 inside out and you will get far better answers from them than you will get from me. But do yourself and all members a favor and make use of the forum search before you start a topic. There is nothing wrong with asking questions if honestly done so in order to understand the event. But please take the time to think before you post! But please take the time to think before you post! Yes. This. I do alot of this and sometimes there are slip ups when not thinking straight. There are times when my judgment is clouded just need to see when it happens and keep my mouth shut etc. No, you don't have to keep your mouth shut. You are not alone. Everybody slips up or is stuck at times and we can all help one another along the way. You can ask questions whenever you feel your judgment is clouded. As daniel says, in rapport we thrive. But you have to keep in mind that, although any answer given can be a helpful guidance, you will still need to walk your own path if you want to grow. You can take whatever useful information you've found into account but you should also ponder over it. Show a little bit of own effort. Otherwise, chances are you will only be stepping into the footsteps on somebody else's path. I refreshed myself with September Clues and have spent some time on the clues forum and will register soon. Thanks for the advice about thinking before posting, I had a flashback to my parents saying something similar when I was about six years old. 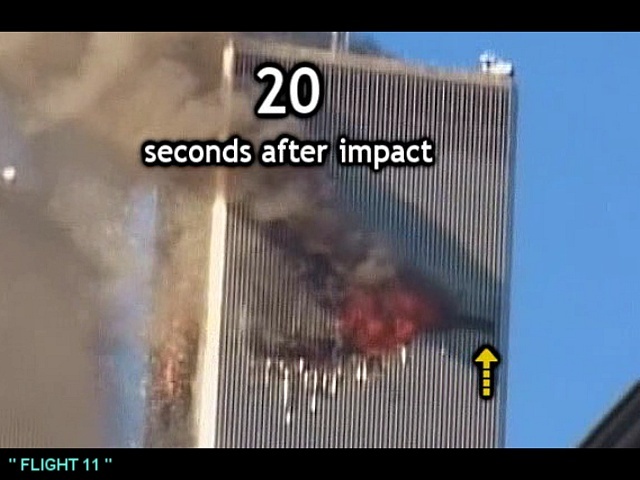 animus wrote: Look at the bottom of the screen at WTC7 while the camera zooms out and then compare when the camera zooms in 10 seconds later. I take it you are referencing the 'moving' WTC7. I crudely reconstructed the scene with various boxes, put my camera in movie mode and actually found it very easy indeed to make the middle object (WTC7) appear to move up and down whilst the foreground (light brown office building?) AND background (WTC) are almost stationary by lowering the camera very slightly on high zoom, it is pretty strange to see. Yes it's a crude experiment but the effect is the same. It's not evidence of fakery in itself, however the fact that the WTC7 looks like a 2D layer is curious and the audio is odd, similar to other 911 videos, the audio does sound overdubbed and not very realistic I admit that. There are lots of strange goings on with other footage though so I do thank you for forcing my hand to go over the Clues Forum and look at various things. I still have questions but will register over there. I take it you are referencing the 'moving' WTC7. I crudely reconstructed the scene with various boxes, put my camera in movie mode and actually found it very easy indeed to make the middle object (WTC7) appear to move up and down whilst the foreground (light brown office building?) AND background (WTC) are almost stationary by lowering the camera very slightly on high zoom, it is pretty strange to see. Just to clarify, it is not the "moving" that is peculiar. It is the fact that the perspective is not congruent between the zooming out and the zooming in. That's why I quoted Simon: You just can't have it both ways. Not in the real world. But back to topic of WeatherWar101. Some of his latest videos make me want to question the satellite footage his research is based upon. He seems to lump together all ISS-deniers with flat earthers and the like. Curious development because he is the one who does not want to be lumped together with other people on the topic of weather engineering. So of all people, he should understand best that one needs to hear out the other side. @Chris: Do you by any chance know where ww101 gets the footage of water vapor filling the sky. I mean the black and white one which he now shows in almost every single video of his. I ask because I would love to see the original. Critical as I am I need to know whether I am being fooled by imagery again. It's always the same sequence and it seems to be sped up for the purpose of illustration. I will probably have to ask him for providing all raw data that he puts in a given video, or at least the direct sources, i.e. specific URLs where he gets it from. It really surprised me that he so vehemently defended the existence of the ISS. I understand that his research is completely based on satellite imagery. But even if most satellites don't exist, the imagery and data can still be legit if it was obtained by weather balloons!? I did notice the difference between thermosphere and exoshpere, quite a leap don't you think. I think that around 1000kms there are most of the satellites, https://en.wikipedia.org/wiki/Internati ... ce_Station If you look at the list on the right there is info on ISS, It seems that the space station is about 400 kms from sea level, thats suprisingly low on "astronomical" terms. Also its orbit decays about 2 kms per month, so it will take some time for it to crash back into earth. At that rate it will take another 33 years for it to crash back here. Thats enough reason for them not to panic with that sort of knowledge, by then they might even stage an accidental explosion up there, with every astronaut deceased or maybe even retired at some nice beach with new identities. Thats less than 100 kms. Thats gotta make you a little bit suspicious of rockets firing at upper atmoshpere and moving around. Maneuvering thrusters probably wont work at that altitude of 400 km, because apparently there is no air left at 100 km.